Good eating habits - encourage now! Pay close attention to what your child eats as a toddler. In early childhood, the foundation is laid for long-term healthy eating habits that may stay with them all their lives. Use the opportunity to check your own eating habits and to change them if necessary! As parents you are important role models for your child in their choice of foods and eating habits. Always try to eat together with your child: at least once a day the whole family should gather at the table. Children need company when eating and good role models. Ideally you should offer a wide range of healthy foods to your child. A varied diet of healthy ingredients ensures a balanced nutrient intake. Even if some dishes are refused in the beginning, it is important that they are offered again in a relaxed manner. It’s practical to have all the components of a meal on the table, and to let your child choose. The rule is that something should be eaten from what is on the table, but the child may choose what. 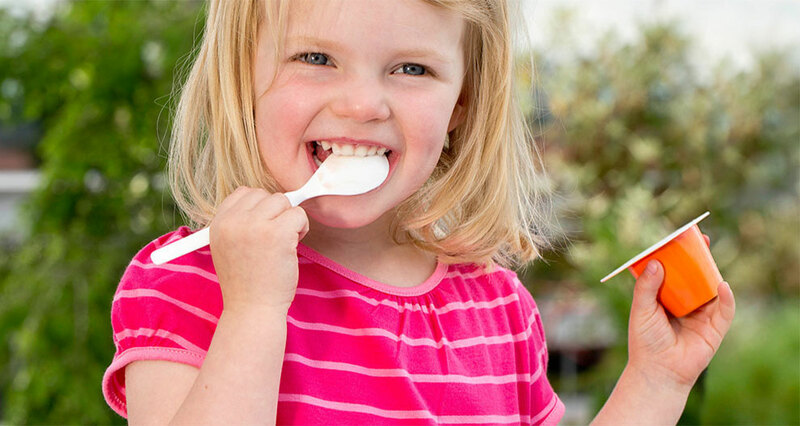 Children need up to 10 ‘experiments’ before they accept a new dish and eat it happily. Then of course, your loved one has earned himself or herself some praise. Give your child enough time to play with their food. In the beginning, food will be everywhere except in the mouth, but that is completely normal. Keep your patience and help your child by demonstrating, encouraging and praising. If your child has enough of trying you may help him or her by feeding in order to help your little explorer to become full.